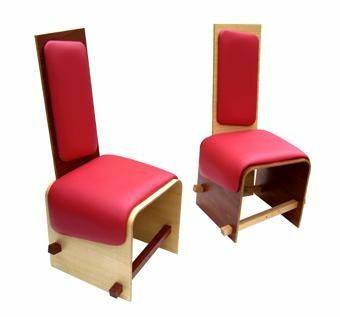 Hybrid chair may be used as a dining chair, a stool/ottoman or a bench. It consists of 2 components, a base and a back, plus some supplied stainless steel hardware items. With the back in place, the components are in dining chair mode. 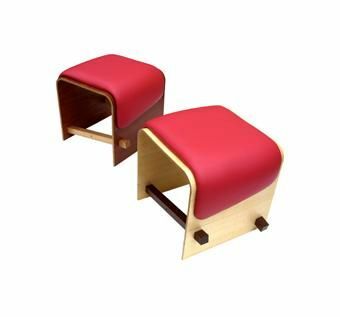 By easily removing the back, the chair base is now in stool or ottoman mode. 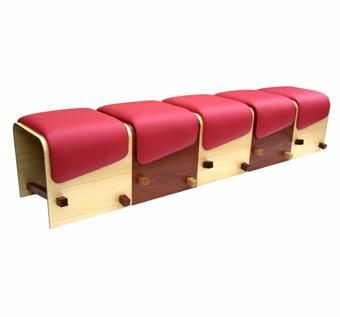 Multiple chair bases can be easily linked together to form a bench of any desired length. Hybrid Chair was designed as a multi-use piece of furniture, encouraging customers to purchase less product for the same functional result. The customer pays less, the product takes up less space and most importantly for the planet, less materials are used. The design of the piece was arrived at by experimenting with the simplest of forms. The bent "U" shape base was inspired by a marine shackle proving to be simple yet incredibly strong and stable. Like the base of the chair, the rectangular removable back is simple and minimal in form. The geometry of the 2 components is almost childlike and quite playful in its simplicity, whilst displaying a humourous personality. Dimensions: 1020mm x 500mm x 440mm 40" x 20" x 17"